This month's home was selected by team member Zoe Barr. Growing up with a real estate agent as a mother nearly guarantees growing up with a love for houses. At the age of 19, I have lived in a total of 11 different homes, each completely different from the one before. Ranging from apartment complexes, to houses with a neighborhood, to our condo, my siblings and I have never failed to settle in. Each new place immediately felt like a home, like i said - real estate agent mother. Since turning 18, and with the help of several years of training in knowing what to look for, I’ve moved out on my own. I’m sure it would've been a scary process had I not been practicing my whole life, but i've learned to recognize the feeling of home when it's there. Upon entering 179 Main Street, I immediately got this feeling. I can’t be sure what it was, perhaps the glowing light coming from behind the flowing curtains, or the perfect space between the 3 bedrooms, maybe even the lovely smell that stayed consistent throughout, I couldn't help but picture a life for my family and me. The family room hosts large windows, ideally situated alongside a woodstove, this is where I picture winter nights, snow falling down, cuddled up with a big blanket and a book. Just a room over is a living room, quietly tucked away for a family movie night. The make or breaks for my siblings and me were always the kitchen and the bathrooms, if they weren’t perfect, we weren’t happy. I know I can speak for my brothers and sisters when I say 179 Main St. has it all! The kitchen is the perfect size, enough room for our Brady Bunch to make simultaneous, running late breakfasts, and even enough to fit all the chef’s on thanksgiving. Not to mention, more than one bathroom! Do you know how relieving bathrooms options are when you grew up with four siblings? It is rare that I feel a sense of belonging anywhere my family isn't, but 179 Main Street brings the warmth of family along with it. (Seriously, I wish I could buy it.) Located in Greenwich Village, this house is incredibly adorable. It could not be more conveniently placed, with the YMCA next door, a grocer down the street, just blocks away from the Greenwich school, this is truly a dream home. This month's home was selected by team member Ashley Ford. "During my venture as a first time home buyer I found my biggest draw to a property to be based upon my ability to easily envision a family and friend filled home. Blessed to be surrounded by a larger than average extended family with many cherished memories created at our family gatherings hosted at my beloved grandfather’s farm house, it has always been a priority to bestow and carry on the quirky yet charming traditions that come along with it to my children in a similar comfortable yet updated setting. While I encounter several amazing homes daily, the ambiance of 9 Shaker Ridge Drive immediately invoked my childhood nostalgia as I toured the rooms envisioning the antics my 19 cousins and I would have gotten into with so much open space on multiple levels! I can practically smell the aroma of holiday feasts wafting from the kitchen, and can picture my family gathering into the formal dining room for dinner, the cousins all vying for an esteemed seat at the adult table, followed up by gift exchanges and embarrassing stories shared around the living room fireplace. As I’ve recently married and began a family of my own it has been of great importance to provide and maintain close knit family and friend relationships for myself and my children while combining two family dynamics. Boasting 4 bedrooms, an airy sunroom, and lower level second family room with an additional fireplace and built in wet bar, combined with 7.5 sprawling acres to utilize, lake rights to Queechy Lake, and a 20 minute drive to Jiminy Peak, there are plenty of potential indoor and outdoor activities to provide day to day relaxation, recreation and remembrance." 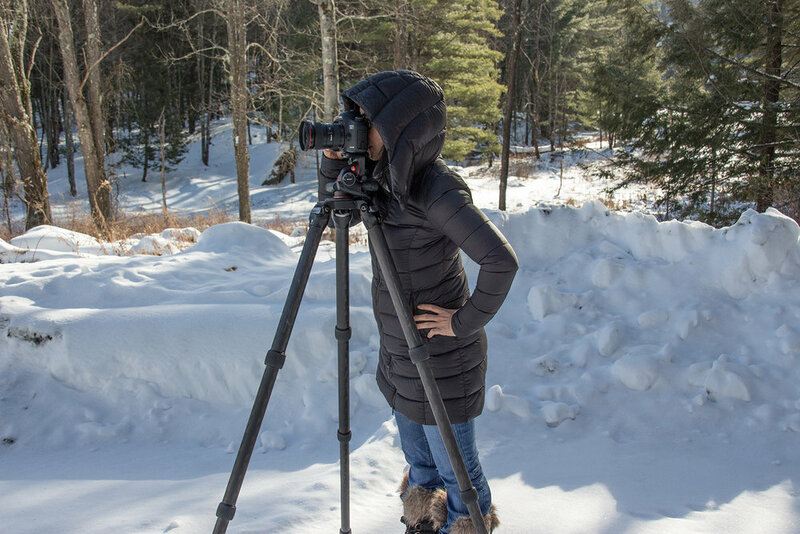 Fresh snow and sunny skies bring the opportunity to update photos for our lineup of great properties. Here are winter photos from some shoots around the region. This number gives us a quick and dirty read on the market. A rule of thumb is that in a normal market, the absorption rate will be 5-7 months. Congratulations to the Sellers of this beautiful country home as they sold under multiple offers! Through daily work on the marketing of our listing inventory, the team becomes very familiar with each property. Everyone has their favorites, so I thought I'd ask them to talk about their choices for "Home of the Week". This week's pick is from Heather Etzel. Heather is our Administrative & Marketing Manager and works closely with our clients to ensure no details are overlooked. "311 Hartman Road in Hudson Falls, NY caught my attention when the pictures and video were still going through editing! The country kitchen captivated me the second I saw the potential of an updated kitchen incorporating rustic details of the past. While I’m comfortable with the modern range oven that is offered with this home, the old-fashioned cook stove fascinated me! As the homeowner put it, “There is an art to cooking with wood, and sadly it is a lost art.” I would consider it a welcome challenge to harness the ability to cook with such a unique tool while simultaneously heating my home with it. Being a mom of 3 young boys and having a rather large extended family, the in-ground pool with patio area would provide a backdrop to some treasured memories. There is a saying that goes, “Music is a piece of art that goes in the ears and straight to the heart”; the melody of children laughing, water splashing, and adults conversing would forever stake a claim in my heart. Something I recently have tried to break into is being a “farmer.” I already have chickens, but pigs, goats, horses, etc.--they require a lot more space and living quarters than I currently have. This property has 3 large exterior buildings that are ready to house such animals. One of the barns has pens already set up! Finding a quiet moment is difficult for some, but not here. This home has an awe-inspiring manicured yard complete with a fish pond and a gazebo overlooking raised garden beds. There is also a stream down in the back that could be further developed. What’s one of the of the best features to this peaceful country retreat? It has “forever wild” as the neighboring lot! No one can ever build there! The exterior aesthetic of this home is the first thing that caught my attention, but don’t be fooled; the interior renders harmony just as well. My favorite room in the house, second to the kitchen and butler’s pantry of course, is the sun soaked 4 season room! While every room has an open, airy atmosphere, this one overlooks the 12+ acres and is perfectly designed to welcome morning tea, mid-day books, or evening chess. More than just a farmhouse, this home holds an estate-like appeal. Its original wide plank hardwood floors perfectly compliment the color pallet throughout. 311 Hartman Road is the epitome of a country home and Country Living Magazine agrees! This home was chosen from all of NYS to be featured in their June 2017 issue. As American writer and human rights advocate Margaret Fuller once put it, "A house is no home until it contains food and fire for the soul, as well as for the body." 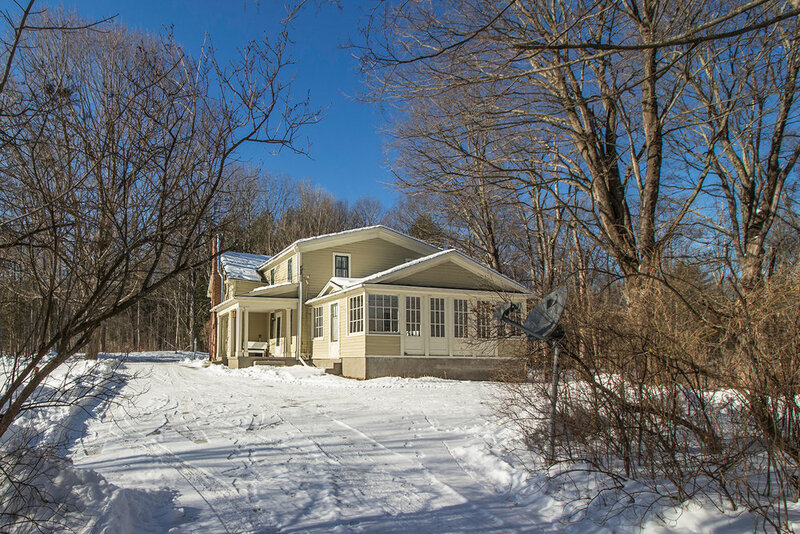 This exquisite property situated near Hudson Falls, NY provides "food and fire" for a lifetime." With interest rates about to rise, prudent financial planning dictates getting the most value for your money -- and that means, at least in terms of buying a home, the cheapest financing you can get. With time running out on near-zero Federal Reserve rates, and mortgage rates certain to begin moving up very soon, the moment to act is now. Own it. In this series, I talk about the contingencies found in a typical real estate purchase and sale agreement. Today, I’ll be discussing the MORTGAGE contingency. It’s typically the third and usually final contingency date on the real estate sales contract time line. A typical time period for receiving mortgage commitment is 4-6 weeks. This can vary depending on your loan type and assumes no complications. The idea is that the buyer has this reasonable time period to obtain a commitment from a lender for financing of the property. 1. Withdraw from the contract and get their deposit back. 2. Ask for an extension of time if they believe they will get the loan. The seller must agree. Why wouldn't a buyer receive their mortgage commitment? Several things can happen. They may not qualify due to some change in their situation. I've heard horror stories of an uneducated borrower using financing to purchase a new vehicle or furniture during this time period and making themselves ineligible for a loan because their debt to income ratio changed. Or, they may have lost a job, or some of their income is not able to be documented satisfactorily. When you apply for a mortgage, you the borrower have to qualify in terms of credit rating, income to debt ratio and employment history. The HOME also has to qualify in the sense that it must appraise for the purchase amount (depending on loan type - if you have a conventional loan with a large down payment, you may be able to absorb a low appraisal) and it must meet a minimum standard in terms of condition, again depending on loan type. Work with your loan representative to avoid common pitfalls, and it makes sense to check on even minor changes before making financial decisions before the closing. Mortgage products can be very specific and each type has its own guidelines, so I suggest contacting a mortgage professional (let me know if you need a name) with additional questions. Usually these folks can suggest a couple of options after hearing the details of your situation and they work very quickly (and many times over the phone!) to let you know what you can afford. This makes your home shopping a lot more fun, I guarantee it! I recently signed up for 43things.com and thought it would be a great tool for managing your check list to a successful home purchase and sale. I'm a big fan of checklists, they are a good reminder of what you need to do AND what you've already accomplished. I'd love to hear from someone who is using this web site to track their progress on my home moving checklist. 1) Get pre-qualified for a mortgage - even if you're not moving for 3 months or more, have a lender pre-qualify you now. Many people don't realize they have little dings (and/or inaccurate information) on their credit report. Don't wait until you are writing an offer on your dream home to discover these items which could take a month or more to repair or remove. 2) Plan your timeline. If you want to be in the new house before school starts, for instance, put August 15th on your timeline as an ideal closing date and work backward from there. In general, it takes 6-8 weeks for a closing so plan to select your home by the middle of June in order to comfortably close by your target date. 3) If you are selling - START EARLY!! I can tell you from *second hand experience, there is nothing more depressing than finding the perfect home for your family and then finding you are unable to execute because your house is unsold. *I don't need to personally be incredibly upset and frustrated to know its not a good thing. 4) Budget your purchase - based in part on the sale price of your home. Another reason to start early, if you don't know how much you're getting, its hard to know how much you can give. Avoid the frustration and disappointment of setting your heart on a move up home out of your price range by knowing ahead of time what you will net from the sale of your current home. This step goes hand in hand with step 1 so work on them together. 5) Pick an agent to represent you. OK, I'm an agent, so this may seem somewhat biased BUT if you are serious about making this move and your time is valuable to you then work with an agent who understands what you want. I've seen people skip this step because they had a difficult time finding the right person or didn't want to commit to someone but this is a mistake. Its like planning your own, very large, wedding. Imagine that working with a wedding planner isn't going to cost you anything and that expert on weddings had access to inside info and discounts on bands, venues, invitations, flowers, the dress etc. They know what the going rate is and can let you know if you are being charged too much. They have years of experience in timing the ordering, reservations and rehearsals and can advise you. If something goes wrong, they can work with you to fix it quickly. Why wouldn't you avail yourself of all that free expertise?